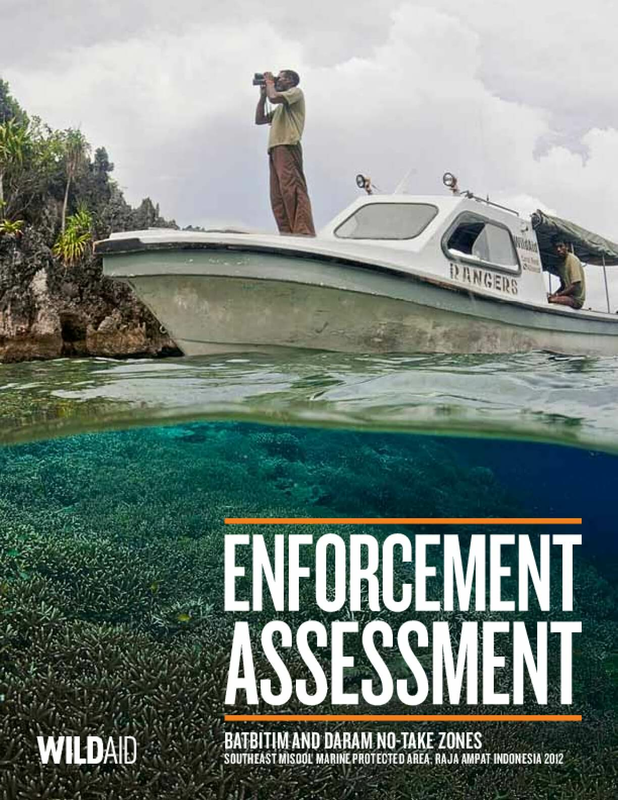 The main objective of this assessment is to evaluate Misool Baseftin enforcement activities in order to strengthen strategic operations, lower recurring operational costs and increase compliance. The specific objectives are: 1. Determine the main strengths and weaknesses of the current enforcement strategy by evaluating operations planning, intelligence analysis, standard operating protocols, number of patrols and patrol routes, and applied technology, among other factors. (Key Assumption: Better enforcement does not necessarily equal more patrols) 2. Prioritize a series of recommendations to lower patrol costs as well as increase detection efficacy. The final recommendations will be structured into three phases and will include system design including energy requirements and overall cost estimate (CAPEX/ 5 year maintenance plan, personnel and training requirements). WildAid focuses on the law enforcement chain that encompasses the activities of detection, interdiction, prosecution and the fining of lawbreakers. An effective law enforcement system should dissuade potential lawbreakers from committing illegal activities as the consequences/ risks associated with apprehension outweigh economic gain. The law enforcement chain requires that each link function in an effective manner and no one link is more important than another. Also critical, yet not part of the enforcement chain, is the vital role that outreach and the education of stakeholders plays in MPA acceptance and compliance. Copyright 2012 by Wildaid. All rights reserved.